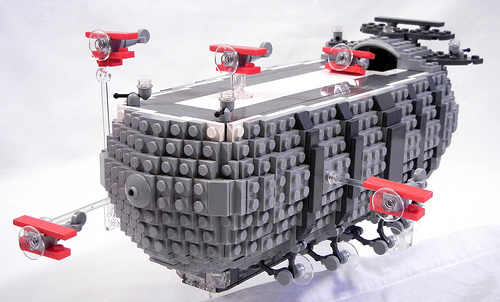 This dirigible/aircraft carrier by Daniel Church (DR.Church) is pure sweetness. I love the micro-scale biplanes and the whole Sky-Fi feel of the thing. Very nicely done, Daniel!